After several years of conducting inquiries into various elements of the red meat sector, Senators have communicated in their latest report released overnight that they have lost patience with what they see as a lack of genuine progress by industry to address pricing, market transparency and representational concerns that have been repeatedly voiced by producers. The broad message from the overall report is that Senators believe the red meat industry, and specifically the grassfed cattle sector, is too big and important to allow the status quo to remain and producer concerns not to be adequately addressed. After indicating they want industry to develop its own solutions, and want to avoid Government imposed reforms, in this report senators are putting the industry on notice that Government action is now likely if industry does not act according to its recommendations. Industry councils and organisations have largely rejected the criticisms today, saying the report either ignores existing industry processes or clear progress that has been made in recent years to address the various producer concerns raised in the inquiry (see separate article). Committee chair, Senator Barry O’Sullivan, a former police detective and lifetime cattle producer, told Beef Central this morning that Senate committee members have been frustrated by what they see as clear evidence of peak industry councils and other industry organisations “hoping this report would simply come and go and the status quo would remain”. “There are some very powerful interests in this industry who don’t want to see strong peak bodies for producers, they don’t want to see additional transparency and oversight of the supply chain process, they don’t want to see transparency of pricing, they don’t want to see arrangements in the saleyards and the marketplace change,” Senator O’Sullivan said. “Of course they all remain in their interests, but they are not in everyone’s interests. “Because industry has been unable to fix up these quite evident issues themselves – unable or unwilling – we have now had to recommend to Government that it has a very serious look at a Government and industry taskforce to do a root and branch examination. Senator O’Sullivan said he was confident the Government would take the recommendations made by the committee last night on board. “Minister for Agriculture and Water Resources Barnaby Joyce is a man who is committed to transparency, productivity and fair and equitable marketplaces,” he said. In the end, he said, the committee had to be brave in its recommendations, “because someone has got to stand up for the little fellas and men and women around the place who don’t have a voice”. The Senate Committee says the industry needs to voluntarily develop and adopt industry-wide Standards of Practice to govern all commercial livestock transactions. It says this would provide an overarching set of guidelines and best practice principles aimed at preventing collusion and anti-competitive behaviour across the supply chain. It would deal with issues such as equity between vendors and buyers, consistency across pricing mechanisms, the use of commission buyers, nationally consistent industry training and registration, reporting systems and dispute resolution practices. The committee has in fact gone as far as to impose a deadline for industry to act. It says it is already working on developing mandatory Standards of Practice that it will seek to have the Government enforce if the industry does not commit to developing its own Standards of Practice within three months. It has tasked the Australian Livestock and Property Agents Association (ALPA) with the responsibility of leading this reform. In response ALPA says saleyards already operate under national terms and conditions and its own members operate under a code of a conduct, which it says it has told the committee “on numerous occasions”. It also says that as a membership body, and not a regulatory body, it has no jurisdiction to perform the role the Committee has recommended (see ALPA’s comments in separate story). Senator O’Sullivan in particular has been particularly critical of the lack of progress by Cattle Council of Australia and other industry groups through the industry implementation committee to reach a clear path forward on developing and funding a new grassfed producer representation organisation, currently being labeled “Cattle Australia”. Cattle Council of Council has expressed disappointment in the committee’s recommendation that its status as the recognised representative body be removed, describing the recommendation as “a long reach from what the Inquiry was set up to investigate”. CCA says it has demonstrated a strong commitment to improving representative structures and increasing transparency, and its board already includes two independent skills based Directors with scope to increase the number in line with increased direct membership numbers (see separate article). Senator O’Sullivan told Beef Central this morning that he believes that for a “for a considerable period of time” Cattle Council of Australia genuinely engaged in an effort to build a new architectural structure. 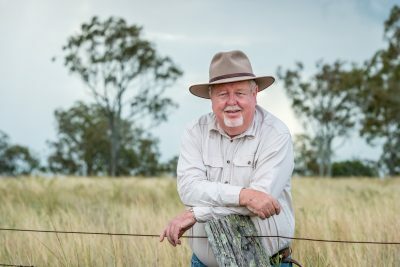 “But I think more recently the anecdotal evidence I am getting is that there is a shift in their attitude and now they want to try and rebuild the existing Cattle Council will all the structural arrangements which of course is not supported by the recommendations by the committee,” he said. Over a series of red meat industry inquiries stretching back to 2013 the committee said it has observed the culture within stakeholder groups is “becoming increasingly more insular”, lacking real consultation with grassroots members, and believes the views and agendas of those in leadership roles is “becoming more entrenched”. “Increasingly industry groups and representative bodies are reluctant to look beyond the narrow scope of what they see as their immediate responsibilities. The committee says the need for reform has “become critical” and “the future sustainability of Australia’s cattle and beef industry is now dependent on complete cultural change”. It says that strengthening of a new producer body in relation to MLA should be the first step towards greater structural reform. For the body to take on the role of a properly representative body, it needs to be properly funded and have the structure necessary to be truly representative and consultative, the committee said. To this end, the committee recommends that Cattle Australia be provided with adequate independent funding as soon as practical. “With decisions currently being made about the use of substantial amounts of levy- payers funds including on technology such as DEXA, the committee recognises that there is some urgency for a well-resourced Cattle Australia to effectively represent the interests of grass-fed cattle producers. Moreover, once operational, Cattle Australia will be able to make appropriate, informed decisions on behalf of their levy payers about price transparency across the supply chain. Committee is also concerned about the way in which MLA and CCA, and AMIC and AMPC, make decisions in relation to the expenditure of levy-payer funds. “The committee recognises that the issue of Objective Carcase Measurement technology is a perfect example of where a lack of coordination and unity across representative groups results in confusion (and a lack of trust) on the part of stakeholders – particularly levy payers. Last night’s report recommended that the Australian Government step in with immediate funding to fast-track the grassfed restructure process by providing the support the grassfed cattle sector needs to replace Cattle Council of Australia “with a transparent and accountable producer-owned body as the sector’s Peak Industry Council”. The committee also recommends that a remunerated skills-based board be established to guide the transition of Cattle Australia into an organisation with a membership and voting structure that enables levy payers a direct say in the utilisation and investment of their levies. The committee says it also should have a leadership body of elected members that reflects the unique geographic, demographic and economic makeup of this sector; and a transparent reporting system to enable levy-payers to trace the utilisation and investment of their levies. “Once Cattle Australia is established, with a membership structure in place, it should be officially recognised as the sector’s PIC under the Australian Meat and Live-stock Industry Act 1997, and Red Meat MOU,” the committee report said. The committee said it had heard evidence from industry stakeholders that a “culture of collusion” exists in cattle saleyards. It said the ACCC report, which heard specific allegations of bid-rigging in saleyards and anti-competitive agreements between livestock agency businesses, has only served to increase the committee’s concerns about anti-competitive behaviour and practice in the cattle and beef sector. “In taking evidence from a number of industry stakeholders following the release of the ACCC’s final report, the committee is acutely aware of the resistance being shown by a number of industry players, the lack of will to engage with the problems that exist and the lack of commitment to drive much needed reform,” the report said. “The committee has serious concerns about the commitment these stakeholders have to implementing the ACCC’s recommendations and working toward reform, particularly in relation to market and price transparency. The committee’s view is that under the current system, it is not possible for producers to determine, with any accuracy, the asset value of their stock. It said there is need for reform in provision of information regarding profits and margins across the supply chain to be made available to producers. The report noted that industry has in recent times been trying to identify ways of increasing price transparency across the supply chain, such as efforts by the grassfed cattle sector to actively work to develop an Australian beef yield indicator and wholesale carcase ‘cut-out’ to provide more transparency and more price information back to producers. It said that stakeholders had argued that market reports and benchmark indicators do not accurately reflect the state of the market, given they are often based on a small, unrepresentative sample. The Committee says a need exists at a minimum for a freely available, transparent pricing mechanism at saleyards and for prices to be displayed publicly. While saleyards tend to set, drive and influence prices in the marketplace as a whole, downward trend in saleyard purchases over recent years suggests there is a growing need for a comprehensive market indicator. The Committee said during numerous inquiries the industry was still no closer to reaching a common viewpoint about the benefits of Objective Carcase Measurement. It also questioned whether, in forging ahead with the development and introduction of DEXA technology, MLA or CCA had adequately consulted with levy payers to gauge their views. MLA emphatically rejects this point. Richard Norton said he has spoken to some 20,000 levy payers in his three years as MLA MD and the move to DEXA reflects industry goals set in the Meat Industry Strategic Plan 2020 (see separate story). The committee wants the Department of Agriculture and Water Resources to conduct a review of AUS-MEAT to determine if it is the most appropriate body to oversee the installation, inspection, calibration, replacement and quality assurance auditing processes of the new DEXA technology. Committee says it is indisputably clear that the red meat industry has undergone significant change since 1997-98 when the existing red meat structure was introduced. It says it is vital that a broad consultative process be undertaken to review the red meat industry Memorandum of Understanding and the structural and representational relationships contained within it. It believes industry/Government review body should consult widely across the industry to establish a comprehensive understanding of the complexity of the structures, relationships and arrangements that shape the industry. “To this end, the committee recommends a root and branch review of the MOU. The review should include an examination of all aspects of the MOU; including all parties to the agreement as well as funding, planning and service delivery agreements, industry reserves and R&D. 2.7 The committee recommends that the Minister for Agriculture and Water Resources consider requesting Meat and Livestock Australia to conduct a study into pre- and post-sale weighing to provide the southern industry with an evidence-base on which to consider selling methods at saleyards. 2.103 The committee recommends that the Australian Livestock and Property Agents Association (ALPA) lead the development of industry Standards of Practice that cover all commercial transactions in relation to livestock – including online, paddock and saleyard transactions. The Standards of Practice should include guidelines which encourage all parties to conduct transactions in good faith, do not mislead other parties, and ensure that all such transactions are negotiated under the law. 4.108 The committee recommends that the Department of Agriculture and Water Resources conduct a review into the operations and capability of AUS-MEAT to determine whether it is the most appropriate body to oversight the installation, inspection, calibration, replacement and quality assurance auditing processes of the new DEXA technology. The review should also identify what reforms and resources AUS-MEAT would require to fulfil this role. 5.77 The committee recommends that the Australian Government provide immediate support, including appropriate financial assistance, to the grass-fed cattle sector in its efforts to replace Cattle Council of Australia with a transparent and accountable producer-owned body as the sector’s Peak Industry Council. 5.78 The committee recommends that the Australian Government officially recognise Cattle Australia as the grass-fed cattle sector’s Peak Industry Council under the Australian Meat and Live-Stock Industry Act 1997 and Red Meat Memorandum of Understanding once it is operational and has a membership structure in place. 5.88 The committee recommends that a joint industry and government meat and livestock task force be established to conduct a comprehensive review of all aspects of the Red Meat Memorandum of Understanding (MOU). 5.89 As part of the Red Meat MOU review, the joint industry and government meat and livestock task force should consult widely across the industry and consider options for reform. 5.90 The task force should present a report to the Minister for Agriculture and Water Resources within two years of its establishment. The report and its recommendations should be made public. 5.91 To ensure full transparency and encourage industry ownership over the reform process, the task force should endeavour to publish its preliminary findings during the review period as well as bi-annually. I agree that there is a general apathy amongst many smaller cattle producers, the result of the powerlessness that many feel. As a heavily export reliant nation, the industry already has an uphill battle contending with many factors out of our control. If cattle production is to remain a sustainable industry for both larger and smaller producers, we absolutely must have a united sense of purpose to building our capacity. A commitment to transparency throughout the supply chain should build trust and maybe then we can work cooperatively so that we all prosper instead of a “them vs us” mentality. The issues in the industry have been going on a long time and the level of distrust indicates that the problems will not be solved easily or quickly. However, this inquiry and the commitment shown by the senators to bring about change should not be wasted, we have been handed an opportunity to build something better, it is up to everyone throughout the industry and statutory bodies to work together without self interest. I congratulate and thank the senators for their investigations in to the red meat industry. This inquiry has been needed for a long time. One can only hope that the minister will act on their recommendations to bring about a better future for the industry. What point 5 is suggesting is that the federal government evolve another public authority called “cattle australia” with compulsory membership and funded by the federal government – that will never work the 10%ers are the only ones that support that concept. The new Senate recommendations are just more of the same type of disastrous government intervention that occurred with the introduction of the current RMAC structure in 1997 that has led to, and will continue to lead to, further industry and bureaucratic regulation and more livestock enterprise strangulation. Adding to the manifestly uninspiring and obtusely overweight livestock production structure will just bleed more finances away from livestock producers – Government compelling the benefit of an absolute liability is about as silly as a wheel. The Government created this livestock production mess in the first place, under the long out lived ‘Agrarian Socialism’ model and what the Committee now proposes to fix its very own ‘Prescribed Industry Body’ (CCA) is a leap into flat out ‘Agrarian Marxism’. It’s interesting that both the GRDC and AWI operate in their own quite way without the ineptitude of a ‘Prescribed’ grassroots advocacy body, particularly given that the digital platform can create both instant oversight and a dog whistle at the same time for any interventionist government brain child, and in any sector. For there to be a “grass roots” cattle council as suggested in point 5 it will need to be funded by producers paying a membership. How many beef producers out there would be willing to pay, let’s say a $500 annual membership to fund the new organisation? As well as actively participate in a new industry body? The industry already has the structures in place ( SFO’s and direct membership of CCA) which producers don’t engage in now. A new organisation will not fix industry apathy or lack of willingness to engage. I congratulate the Senate in their recommendations, particularly 4,5 ,6 and 7. We can only hope that Senator O’Sullivan is proved correct in his assessment that the Minister will act. These recommendations will be the same as all the rest; a complete waste of time, CCA will never be wound up its too close to the National Party, and it will not be dismantled for that reason alone. The other amazing matter is that the Senators really think that we all support the big brother approach of having federal government control over our lives and our businesses including having to pay a Tax for that so called privilege; the federal government can’t even identify us but they want a new “cattle australia” with presumably compulsory membership, and compulsory tax funding – this is truely amazing stuff!!!!! How will that be in the long run any different to CCA??? The fact is it will be more of the same, CCA officials will just transfer … wont they? What we need is total de-regulation of the grass-fed sector and the enactment of the Stockyards and Packers Act federally to separate the Processors from the primary production sector and that includes, exactly like the United States, making Processors divest themselves of their Feed-lot interests. We question that any so called peak council is needed at all; the question is how did the Senators and the rest of the world just how bad things are in the cattle industry? Just how did Senator O’Sullivan become aware of the misdemeanors he has outlined in this atricle? They came and consulted with us, they toured the nation without the Canberra bureaucracy in 2014 and they found the truth, and it has been flowing ever since. That form of “consulting widely” should be continued into the future and become a regular part of a de-regulated Cattle Industry.